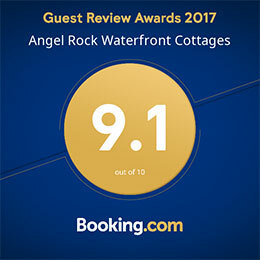 Why choose Angel Rock Cottages & Vacation Homes and not a traditional hotel? 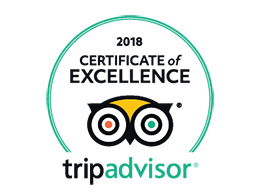 First of all, we’re the most in-touch and connected accommodations you’ll find! With a small staff, we love getting to know our guests! We even get to know the preferences (and sometimes the life stories) of our return guests. When is the last time you called a chain hotel to make a reservation and they remembered you? Our beautiful location offers exceptional views of the St. Lawrence River & local wild life – and our sunsets over the River are simply stunning. Our rentals are designed for 1 to 14 people, so large families are welcome! You won’t believe how great it is to have everyone stay in one home instead of renting multiple hotel rooms! In a hotel room, you sleep there – in our rentals, you live, stay & play here! Your rental will be immaculate upon arrival. Beds are dressed with crisp clean sheets and pretty comforters. Housekeeping occurs only after you have completed your stay and checked out. Our rentals offer all the comforts of home! Kitchens are fully equipped with stoves, ovens, refrigerators, microwaves, small appliances and stocked with all of the utensils, dishware and cookware you’ll need during your stay. We have AC/heat units or central air/heat systems in our cottages/homes. These allow you to choose your perfect temperature! We offer the best value in the area; as our rentals are larger and less expensive than hotel accommodations! Also, most hotel rooms don’t have kitchens, which means you end up spending plenty on eating out. At Angel Rock, you save time and money by utilizing the fully-equipped kitchen to prepare meals. We also have weekly rates and even lower monthly rates (tax-free) for the winter months. Many of our rentals utilize solar panels for their electricity. We try to cut waste wherever possible by recycling. We also donate damaged but still usable linens to shelters and other worthy causes.